I introduced a small number of azolla and duckweed in my fluval spec 5 and a 1.5 gallon jar. I only 2-3 clusters of them at a time because I’m afraid they will multiply and get out of control. They all slowly disappeared and I put in a couple of them more and they’re gone again. From time to time, I saw the snails grazing underneath them. The jar has nothing but exhausted active soil, a floating branch of anubius petite and some pond snails and the tiny ramhorn-lookalike ones (they are not ramhorn but I don’t known the name). The tank doesn’t have much stocking at the moment after I was away for 3 weeks and asking my friend to feed the tank.. and well, I lost several shrimps and the snails population also in decline. Before we can even begin to figure anything out, we need to know the water parameters. Snails might be "clockwork" snails? I haven't seen them, google images doesn't show an actual snail... but they are similar in appearance to ramshorn, supposedly. 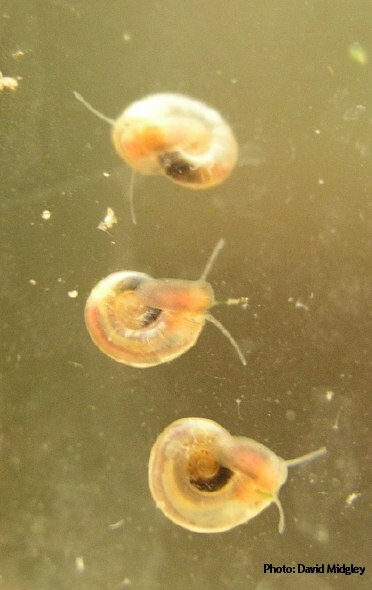 Else, it’s pond snails that are much bigger.